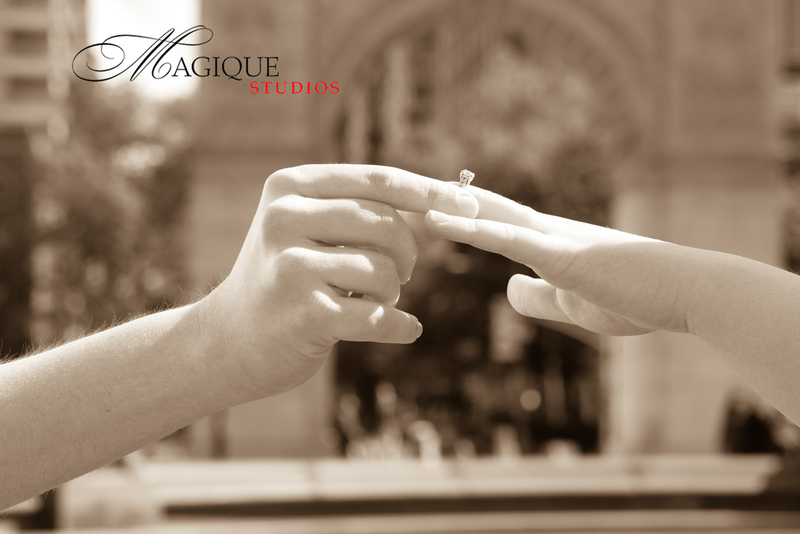 So , there are many places for engagement shoots and it all really depends on what your likes are and the setting you like !! 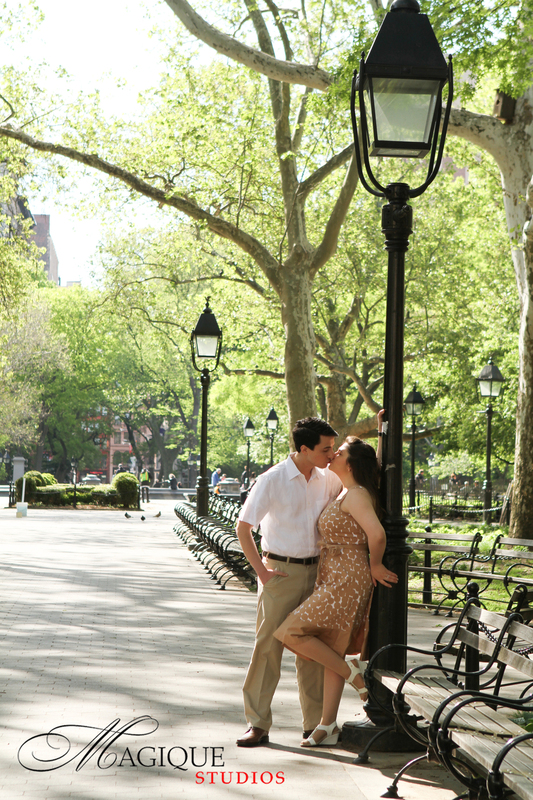 BUT, there is nothing like a shoot in NYC . 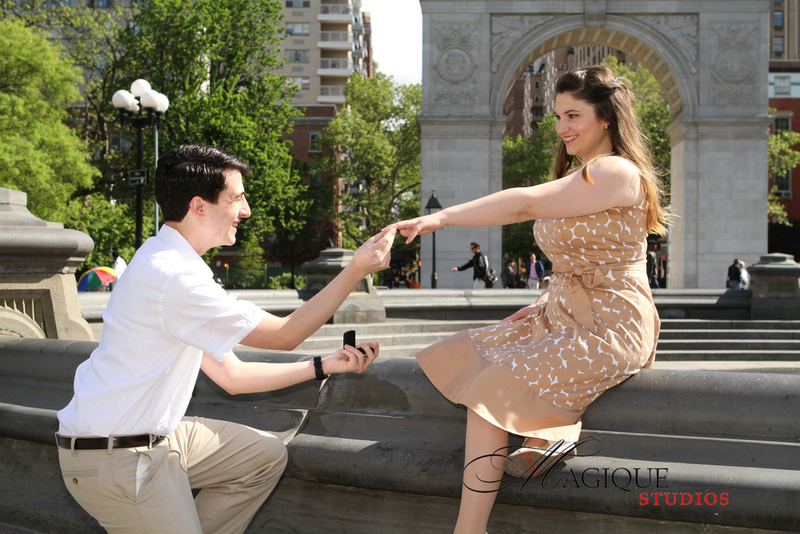 Erica and Alex wanted a couple of different looks , so we started out in Washington Square , where he proposed to her and ended the shoot in Brooklyn by the Brooklyn Bridge !! It was a totally fun day , and so romantic , we can wait for the wedding !! See for yourself !! Posted on July 7, 2016 by Magique Studios.